Zidane has already given the club the list of casualties for next season. However, the French coach has not yet wanted to make public the names of the players that are part of the screen that will make at the end of the course. Anyway, begins to give clues about the players who do not want to tell the next campaign. In spite of the secrecy that he pretends to keep on the matter, the announcements, the alignments or even his press conferences leave clear indications on his next discards. Bale occupies the first position in the blacklist of the French technician and the player himself already knows. On April 8, the forward's agents had a meeting with José Ángel Sánchez, general manager of the club, and there they were told in a very cordial meeting that the player did not fit into Zidane's plans for next season. Zizou does not hide this decision, although publicly he does not say it, but in Butarque he only granted him 9 minutes. Mariano returned this summer to Madrid after recovering him from Lyon for 24 million euros. Zidane so has only given him 30 minutes in the five matches he has been leading this season. He has not been called against Eibar or Leganés. The club is looking for another striker and the Dominican Hispanic does not count for the next season. Ceballos is not liked by Zidane. The technician made it clear in his first stage at Madrid and is leaving patent on his return. The Sevillian carries three consecutive matches without playing any minute and has only played 27 'against Celta and 90' against Huesca. Marcos Llorente has only played 79 minutes since the return of Zidane, against Huesca. Some problems physical prevented him from entering the list against Valencia and Eibar, and Zidane not aligned against Leganés. It is one of the few cases in which the French coach has spoken about his future. He did it in the previous meeting of Butarque and clearly hinted that he will leave in summer: "I've known him for a long time, he needs to play, that's going to be good for him. The year he was in Alavés, he had continuity and there he made a phenomenal season ". Brahim, signed in the winter market from Manchester City, does not fit Zidane's plans either. Will leave on loan next season to catch minutes and experience. Since the return of Zizou has only played 65 minutes (64 'against Huesca and 1' against Eibar) . 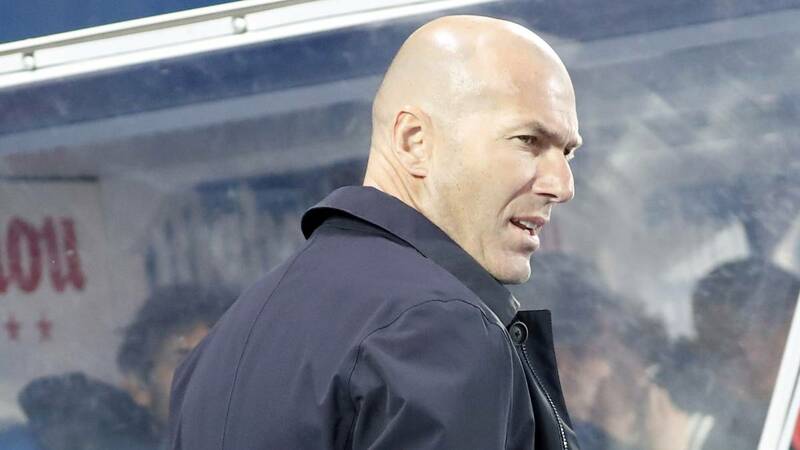 Apart of those five players on which Zidane has already left clear signs that they do not fit into his project next season, there are others who still have no confidence in its continuity at Madrid 2019-20. This is Marcelo, Isco and Kroos. The first two were the claros signaled by Solari at the time and the arrival of Zidane has improved its situation, but its performance is still far from its optimal level. As for the German, the current one is being his worst season as a Madrid player. The arrival of Pogba will make it difficult for him to be a starter and that could lead to his departure in the summer. Zizou has already stated publicly that Marcelo is to his liking and wants him to stay. Isco also fits in his plans, but the continuity of the two depends on the offers that reach the club.